Wild Walks With Wine has been up and running for about six weeks now. I’ve had my ups and downs with it, but I thought I would tell you about some of the things I’ve learnt (and some things that I need to learn) through this whole process! 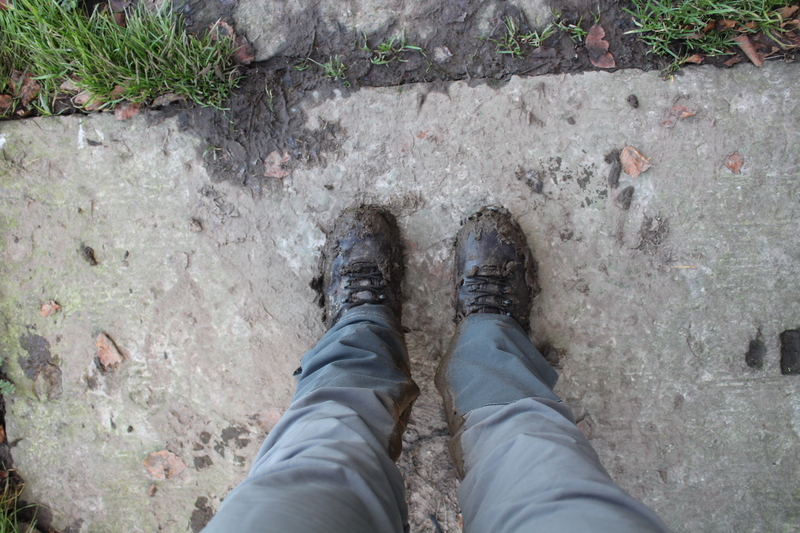 I first started Wild Walks with Wine with almost no idea about the world of blogging. I went on a yoga retreat, and we were encouraged to focus on things that we enjoyed, what makes us happy, what we like doing most. I thought immediately that my perfect day involves taking Leo for a nice long walk, then stopping for lunch at a pub and having food and a glass of wine with my husband next to a roaring fire, out in the countryside. So that’s where the idea came from. In terms of making that a reality, it was quite something different. I have never made a website before. I have been party to making websites through work, but for me that’s always been with the help of an IT specialist. I wrote most of the content for the website at my first job out of Uni, but I didn’t design it myself. I had input into the layout and colour scheme, I had ideas of how we should present ourselves as a company. But presenting yourself as a person? Where do you start? Well some of the things I did when starting out, I did well. And some of the things, I would do differently now I have a bit more awareness of what it means to have a website and be a ‘blogger’. I had no idea the difference between WordPress.com or WordPress.org; so I just paid my money to get my domain name (which I was delighted and amazed wasn’t already taken!). Now I know more about the whole situation, I would have gone self-hosted first time around and used the WordPress.org platform to manage my blog. Personally, I think it’s a bit naughty that they both use the same logo and have almost the same domain name, it’s a bit of a trick, and I fell for it! For now, I’ll just stick with WordPress.com, as it does have advantages in terms of site security and I’m happy with the theme I have chosen. It did take me a long time to figure out why I couldn’t have my Strava come straight through on to my site via a plugin. WordPress.com doesn’t allow you to use the same plugins as WordPress.org so you have much more freedom with WordPress.org to edit the visuals of your site and make it exactly how you want it. At the moment I have so much to learn about blogging in general that this seems a small price to pay for the piece of mind that WordPress.com gives. The next thing I did was think about my own personal branding. Something I had never done before. What do I want this online persona to look like? I created a logo using Adobe Illustrator (on a free trial that has now expired). I actually really enjoyed doing this, and I got to grips with the software pretty quickly as I do have experience using Photoshop and InDesign. I came up with the logo on paper and it took me about two days to get to a stage where I was happy with it on screen. I looked at loads of different fonts and came up with about 30 different designs before I found a way to position the wine glasses and the lettering so that it looked fairly natural – I wanted it to look professional, not like I’d gone mental with clip art! Initial feedback with friends and family was good – and I felt as though I was really making progress towards making my blog a reality. I launched my blog on social media on 14th December 2016, on Facebook, Twitter and Instagram. Facebook I was already on personally, and didn’t have too many issues with. I’m still getting to grips with Instagram and Twitter though! I was so excited by the number of people looking at my Wild Walks with Wine Facebook page and also my actual page! It was amazing! People were looking at it from all over the world too! Unfortunately (but perhaps not surprisingly) 14th December 2016 is still my site’s most visited day… Gradually the momentum petered off and I’m now getting a few views a day, usually from just one or two visitors… Oh dear! It’s not as easy as you think – although being able to post your Instagram to both Twitter and Facebook does help. I’ve never been massively into social media, so I’ve had a lot to learn about each one. Each of the social media platforms has advantages and disadvantages. Some you have to spend more time on (Twitter) in order to get anything of a following (which I still haven’t really). I have a lot to learn about social media, and blogging in general, but I’ll get there I’m sure. One of the key advantages of social media is tapping into various groups that support bloggers. I’m a member of a few different groups, some general, some local, some subject specific (Outdoor Bloggers). I’ve found these groups to be really helpful; for technical advice on running your blog (e.g. the WordPress.com/Wordpress.org issue), to finding out about sponsored post opportunities, and being able to share your blog with people who might not otherwise have access to it. In terms of running my blog, becoming part of these online support communities is definitely the best thing I’ve done so far. Keep going! Keep walking, keep blogging, keep learning! One of the sites that I’ve been using for advice on how to build my blog is Leslie Samuel’s ‘Becomeablogger.com‘. I found it so useful (mostly because of the podcasts, which I can listen to at work or in the car, which is otherwise ‘dead’ time) when it came to setting aside time to write the blog, coming up with ideas for the blog etc. But sometimes he’s a little bit too focussed on monetising blogs, which is a stage that seems a long way off for me at the moment. A key point that I took away from his blog though, is to look at what sort of content gets you the most views and most likes on social media, and either re-post similar posts from the past (which I can’t do as I don’t have that much content) or come up with more content that falls into that category. Broaden my scope. So this is the first attempt, and by letting you guys know what I’m doing, I’m hoping that you wont all disappear as readers from my blog. I want to include different types of content so you can get to know me a little better (like this post) and also include things like product reviews, news items etc., but I will try to keep to an outdoor/walking/dog related theme! Use different types of media. I really need to get to grips with the whole GoPro video aspect of my blog, I’ve been trying different things with the camera so I’m hoping I can put together a small video at least to give you guys a taster of what I’m trying to put together! Improve my photography skills. I thought this would be something that I would spend loads of time doing, but I’m actually spending much more time writing content! I hardly ever edit any of my photos once I get home; I just seem to have enough decent photos without editing! Increase my social media following. I am really struggling to get to grips with the social media aspect. I think I just need to try a little bit harder, remember to post regularly, etc. Encourage the pubs/restaurants that I visit to get involved. I think this will help boost my site by having more backlinks etc. But also if they can post on social media, that can help to introduce new readers! So as you can see, I’ve learnt a lot, and I have big plans for Wild Walks with Wine in 2017. I’ve been struggling to write as much because I’m now working again, but this shouldn’t be an excuse! I’m on it, I’m focussed, and I want to keep learning more about this world of blogging that I have so recently become a part of. If you have any ideas or suggestions that might be of help to the blog, or if you just want to share your own experiences of setting up a blog, please get in touch. I would love to hear from you. Hello Charlotte I have read your story with great interest. IT is really not my field either but keep on because the great out doors is a fabulous thing to share . Particularly interested in any great pubs you come across ! Thanks Rose! Where are you based? I have a couple of walks in Yorkshire and just booked to go to the Lake District so watch this space! Wow you’ve achieved a lot in only six weeks, well done! I started my blog a year ago, and I am not much further along than you. Like you, I’m still finding my way around Instagram and Twitter, which I only joined early in January. Becoming a member of several bloggers groups has also been a huge help, and the number of comments on my posts has gone through the roof (in my terms anyway) since I started linking up on linkys. Such great progress in such a short amount of time… I’m still working it all out seven years later! Glad to have you in Outdoor Bloggers, hope to see you at one of our events this year. Remember that blogging is personal, it’s all about you, what you want to do and how you want to do it.